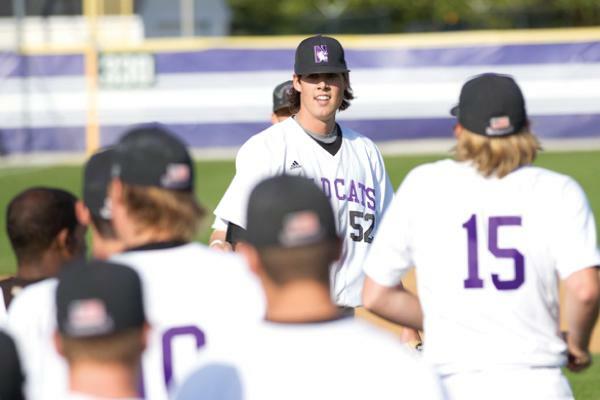 Northwestern pitcher Luke Farrell came back from his second benign tumor in three years last season to make an impact for the Wildcats this year. The senior leads the team with a 1.84 ERA and is tied for the Big Ten lead with 78 strikeouts this season. Luke Farrell the pitcher could not keep up with Luke Farrell the story. For three years, Farrell was a semi-important member of Northwestern pitching staffs, passing through a variety of roles with touch-and-go success. Meanwhile, people told the story of Farrell’s victory over a persistent neck tumor that could have not only ended his career but also resulted in paralysis. The tumor was almost entirely removed before Farrell’s freshman season but returned two years later and rendered him barely relevant on the field for stretches of both seasons. Farrell being the son of a Major League manager only added to the story’s intrigue. The story has been told from all angles. 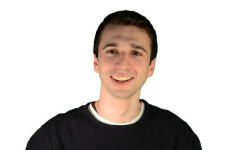 Features on Farrell have appeared on ESPNChicago.com, as well as in the Chicago Tribune and the Chicago Sun-Times. The profiles were, for good reason, inspired by and focused on hospitals more than baseball fields, and operating tables more than pitching mounds. Now, with a 5-inch scar on his neck the only remnant of months of surgery, stress and recovery, Farrell the pitcher is earning all the coverage the story has brought him. The senior is the ace of an excellent NU starting rotation and one of the Big Ten’s best pitchers. His 1.84 ERA is second in the conference among starters, and his 78 strikeouts tied for first. Over four starts April 13-May 4, Farrell allowed only 2 earned runs in 33 innings, a preposterous 0.55 ERA. The stretch included a nine-inning shutout of Michigan at Wrigley Field on April 20 that Farrell, often understated, called “a good memory to have.” He was named Big Ten Pitcher of the Week following that outing and again two weeks later, after holding Ohio State scoreless over eight dominant innings. A year ago, the structure appeared wobbly. Only months after undergoing radiation treatment for the recurrence of his tumor, Farrell struggled as starter in 2012. Despite improving after a switch to the bullpen, he finished the season with a 6.10 ERA and more than a hit allowed per inning pitched. His strength and stamina have improved gradually since, and so have the results. In the Big Ten in 2013, only Minnesota’s Tom Windle can rival Farrell’s statistics. Windle, a junior and possible first-round MLB draft pick, is tied with Farrell for the conference lead in strikeouts and stands just ahead of the Cats hurler in ERA, batting average against and innings pitched. Because the Golden Gophers have supplied Windle with 6 wins — Farrell has only 3, thanks largely to lack of run support — the Minnesota lefty is the heavy favorite for Big Ten Pitcher of the Year, an award only two NU players have ever claimed. Farrell insists this does not bother him. In fact, he does not often give the impression that anything bothers him. The lanky right-hander rarely exudes emotion on the field and maintains a soft-spoken calm when addressing the media. With long hair and sunglasses befitting his laid-back disposition, the Ohio native seems to embody California cool. But according to those who know him best, the tranquil persona is just a front. Cats first baseman Jack Havey is Farrell’s classmate and one of the pitcher’s best friends. Farrell and Havey, along with third baseman Colby Everett, have been close since freshman year and now live together off-campus with other players. Farrell said some of that fire comes from growing up in the ultimate baseball family. Farrell’s father, John, pitched eight major-league seasons in the late 1980s and early 90s. After his playing career, the elder Farrell worked several jobs in the MLB before being named manager of the Toronto Blue Jays in 2010. He is now in his first season as manager of the Boston Red Sox. Luke also has two baseball-playing older brothers, Jeremy and Shane, both of whom competed at the college level and were later drafted. Jeremy climbed as high as AAA in the Pittsburgh Pirates farm system and now plays third base for the Winston-Salem Dash, the Chicago White Sox’ high-A affiliate. Shane works in the Chicago Cubs scouting department. But now, Luke is likely on his way to being the most successful Farrell brother. Big Ten baseball expert Chris Webb compares the 21-year-old’s stuff to that of 14-year MLB veteran Bronson Arroyo. Farrell “doesn’t overpower” batters, Webb said, but is effective because of good sink on his low-90s fastball, an “above-average” change-up and a “polished” curveball. This is where it doesn’t hurt to have a former pitching coach for a father. Hanging around the Red Sox when his father was pitching coach exposed Farrell to a wealth of big-league mentors. The righty said he learned his change-up grip from Curt Schilling, picked up a one-seam fastball from Clay Buchholz and Jon Lester, and throws a modified version of Josh Beckett’s curveball. Then there’s Farrell’s 6-foot-6 stature. MLB teams have taken notice. Webb projected Farrell as a sixth- or seventh-round pick in the draft, which begins June 6. That would put Farrell in high company among recent NU draftees. Over the last 19 drafts, three NU players, all pitchers, have been drafted in the first 10 rounds. Two of them — George Kontos and J.A. Happ — are in the Major Leagues. This would seem to bode well for Farrell if NU’s third early draftee —Dan Brauer, a former Big Ten Pitcher of the Year — had not flamed out of pro baseball without progressing past high-A. NU assistant coach Tim Stoddard knows something about succeeding in professional baseball. Stoddard played 13 seasons in the Major Leagues, pitching out of various teams’ bullpens throughout the 1980s. But Stoddard says the primary difference between a career like Brauer’s and a career like his, Happ’s or Kontos’ is health and luck. Farrell said he does not expect teams to be particularly wary of his health history, and both he and Stoddard emphasized that his pitching has improved steadily since his radiation. If Farrell accomplishes his goal, as expected, some fans, players and writers will undoubtedly know him as “John Farrell’s son.” And when a local newspaper catches wind of the pitcher’s past medical drama, someone will unspool another narrative that places Farrell under a surgeon’s knife. To an extent, the story will always endure. Farrell will make one final start in purple and white Thursday at Wichita State. The outing will be bittersweet, he said, signaling the end of “the four best years of my life.” When it’s over, how does he want to be remembered at NU? He could be there before long. And eventually, when “good pitcher” defines Farrell’s time at Evanston, Luke Farrell the pitcher will finally be the story.